Our friendly staff are available to assist you with tours, car hire and general information and we offer a wide range of facilities including a swimming pool, mini gym, TV lounge with Foxtel, guest laundry. TVs are standard in all rooms except dormitories. Beatty Lodge has a relaxed environment with clean and comfortable surroundings and with the diverse variety of cultures that magnatise to here on a regular basis, it's a perfect meeting place for travelers. Come and experience this friendly lodge for yourself whether in Perth for study, sports, business or pleasure, we have the facilities and amenities at you disposal to make it an enjoyable stay. Clean, good facilities, nice staff. 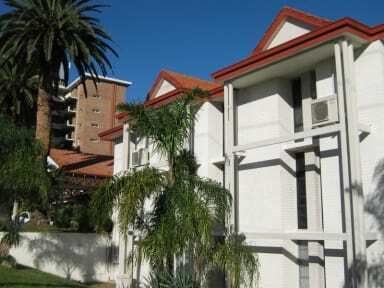 Decent location, not too far from Perth CBD and Northbridge. 5 min walk from Leederville. Definitely not a party hostel. Very quiet and easy going. If like me you just want somewhere to sleep, cook and shower its ideal. I stay here often during my breaks. It's a great place to stay. 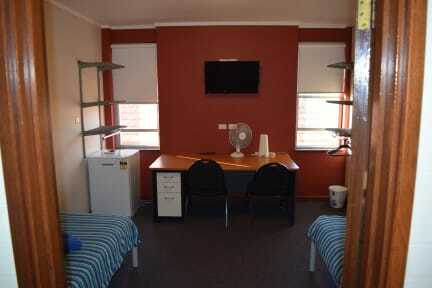 Cleaned daily, lockers available, friendly, pool, quiet at night. Most rooms have space to move. I spend a relaxing time there. The staff is kind and friendly and everywhere clean. Only in shower room that lights turn off is very soon, so I recommend taking shower in daytime. Not happy with wifi and bed in my room . WiFi is pretty slow and the kitchen isn't amazingly equipped. Otherwise everything is great, staff were generally friendly. Average, could be better such like an ensuite in a private room, but good enough if you're not too fuzz. Location is near-ish tourist places (2km+). Quite a busy street outside so you hear cars pass overnight. Unfortunate to have a room near reception, stairs, and locked door leading to other rooms and common toilets cause you can hear all activities. Also had to park on the street due to limited parking space but plenty available street parking however no security guaranteed.